Depicted as an insular and forbidding police state with an "insane" dictator at its helm, North Korea--charter member of Bush's "Axis of Evil"--is a country the U.S. loves to hate. Now the CIA says it possesses nuclear, chemical, and biological weapons, as well as long-range missiles capable of delivering them to America's West Coast. But, as Bruce Cumings demonstrates in this provocative, lively read, the story of the U.S.-Korea conflict is more complex than our leaders or our news media would have us believe. Drawing on his extensive knowledge of Korea, and on declassified government reports, Cumings traces that story, from the brutal Korean War to the present crisis. Harboring no illusions regarding the totalitarian Kim Jong Il regime, Cumings nonetheless insists on a more nuanced approach. The result is both a counter-narrative to the official U.S. and North Korean versions and a fascinating portrayal of North Korea, a country that suffers through foreign invasions, natural disasters, and its own internal contradictions, yet somehow continues to survive. 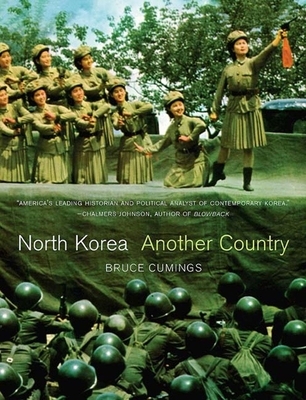 Bruce Cumings is the author of North Korea, Korea's Place in the Sun, and Parallax Visions. He teaches at the University of Chicago.